Bathes by scrubbing itself in dust, fine dirt, rotten wood, or weed particles. Roosts in trees in the winter or on the ground in warmer months. The male ruffles up its feathers and displays its tails to catch a mate’s eye, but will also impress with his instrumental abilities. He performs a short number called drumming, in which he beats his wings in an increasingly fast rhythm. 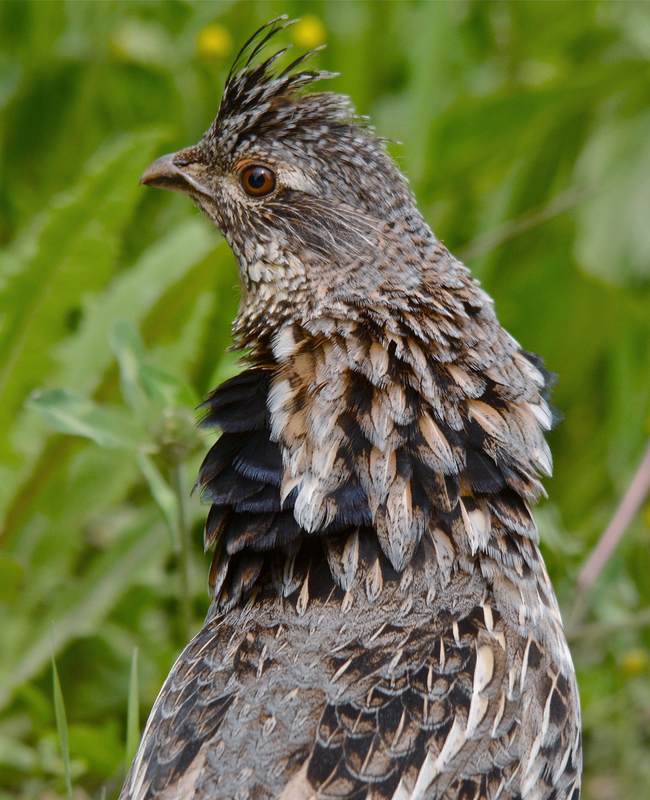 When threatened, a female with chicks will ruff up her feathers, screech, and even attack predators that get too close. 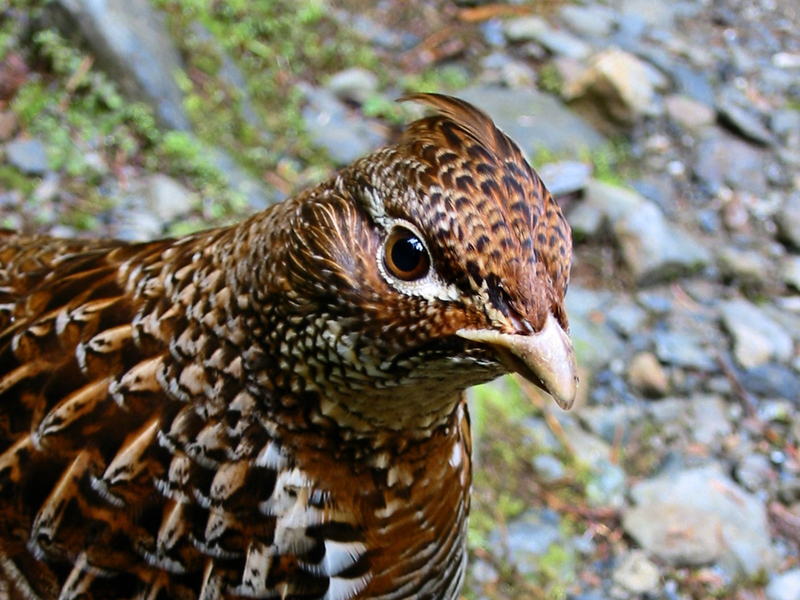 Often heard deep within northern forests as it drums on top of logs for mates, this species is projected to lose 34 percent of breeding range by 2080, according to Audubon’s climate model. Across both seasons the climate range is projected to drift north to the extent that it may no longer occur in the Lower 48 by the end of the century. Whether the forests it depends on will expand northward, too, remains to be seen. 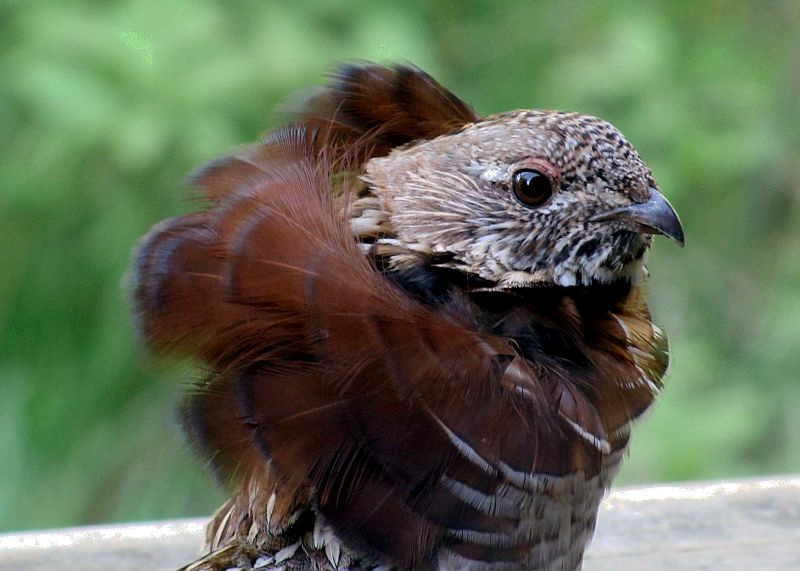 This small, chicken-like bird lives year-round in the forests of northern North America. It’s named for the ruff of blackish feathers on the sides of the neck, larger in the male, which may be flared out when the bird is agitated. During the male’s “drumming” display, used in territorial defense and courtship, the ruff is so extended that it looks like a wide, fluffy black collar around the neck. In a normal posture, the black feathers of the ruff are barely visible. 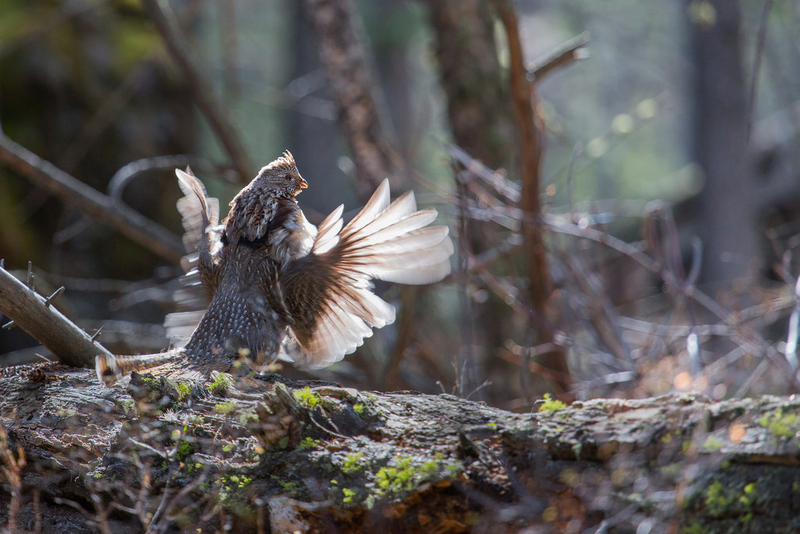 Ruffed Grouse occur in two color morphs, grayish or reddish, with the difference most obvious on the broad tail feathers. 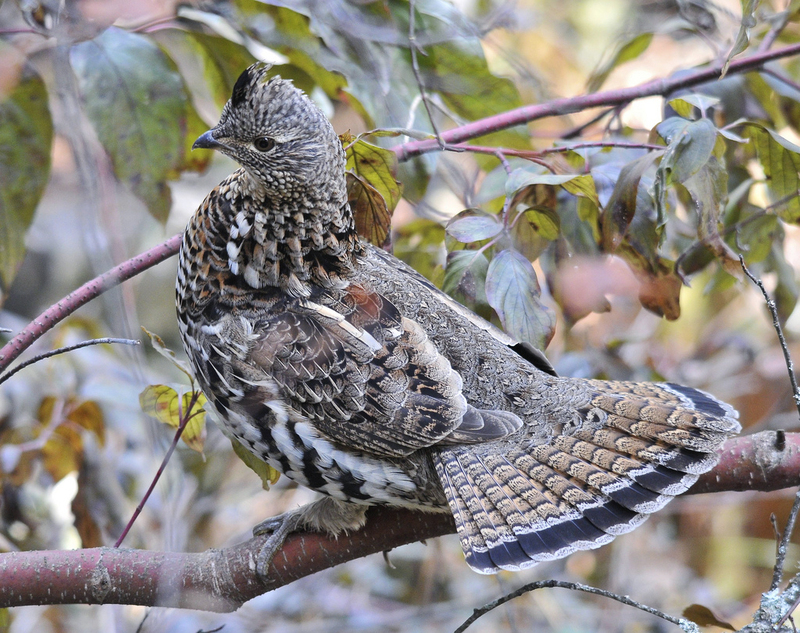 While it isn’t migratory, the Ruffed Grouse has been known to change its territory periodically. Its diet changes slightly depending upon the season, but is largely composed of leaves, berries, acorns, twigs, buds, and insects.